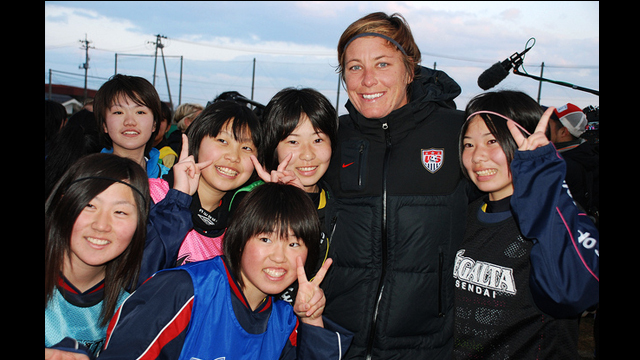 U.S. soccer forward, Abby Wambach, meets some potential future members of Japan's national soccer team. Supportive team mates watch their peers play with the U.S. Women’s National Team. 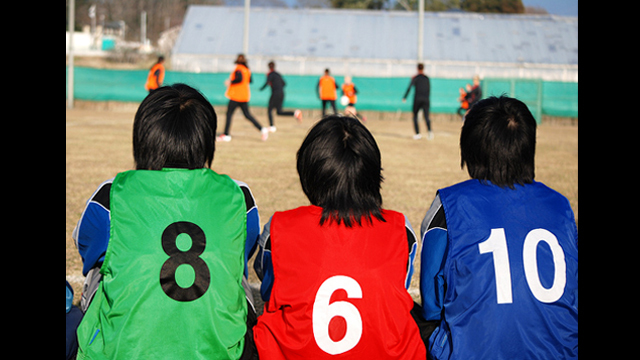 Young Japanese players watch the U.S. Women's National Soccer team practice at the Izumi Soccer Field in Sendai, Japan. 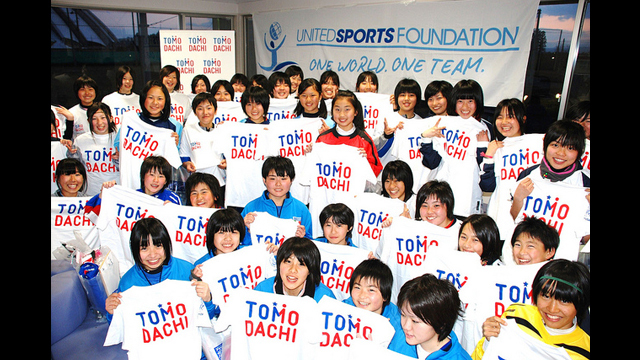 These young girls hold up their "TOMODACHI" shirts to represent the initiative to strengthen the friendship between Japan and the U.S.
U.S. defender Heather Mitts discusses strategy techniques with her young Japanese teammates. 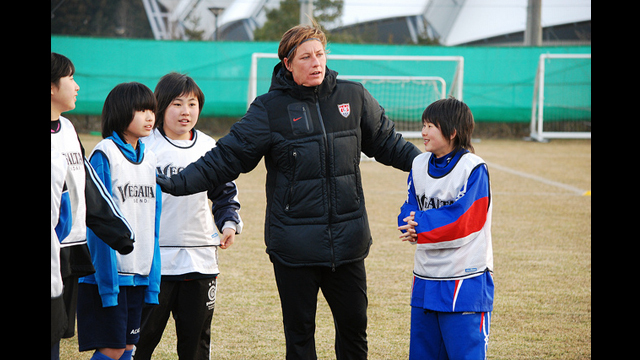 U.S. forward Abby Wambach organizes a match with the enthusiastic Japanese players. U.S. goalkeeper Hope Solo shows her skills. As part of the “Empowering Women and Girls Through Sports Initiative,” the U.S. Women’s National Soccer Team took to the soccer field with Japanese girls in Sendai, Japan on March 27. This clinic occurred in a region devastated by the 2011 earthquake and served as a way to inspire the area’s youth after a year of challenges. In addition to serving as a goodwill sports exchange, the activity underscored the U.S.’s commitment to Japan and the TOMODACHI Initiative.